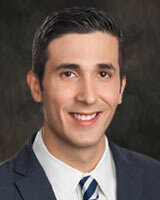 David Nuno joined the KTRK Sports Department in 2012. Before his break into broadcast television, the versatile Nuno wore many hats, from serving as marketing and communications manager for the Harris County Houston Sports Authority to host on Yahoo Sports Radio and 1560 The Game interviewing athletes and celebrities. Prior to radio, David worked as weekend sports anchor and reporter for ABC affiliates KXXV-Waco and KRHD-Bryan/College Station covering his college alma mater. He also served two years for the Dallas Mavericks' as corporate and Hispanic marketing manager. David grew up in Houston and has a degree in broadcast journalism from Texas A&M University. He and his wife, Elizabeth, have four children. The former Texans player teamed up with the Sunshine Kids Foundation for their 4th Annual Football Training Camp. Former boxing champ, Raul Marquez has quite the boxing family. Since his days with the Texans, Jordan Black has been a man who has worn many hats.